Key Organics has a dedicated team focused on medicinal chemistry services and have consistently created value for our customers through the supply of novel intermediates and fragments plus supporting in-house projects through a flexible range of collaborative R&D Services. We have experience across Lead Generation, Hit-to-Lead Development and Lead Optimisation, through client led, single molecule or library synthesis. 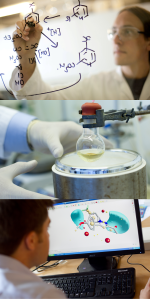 Key Organics undertakes a flexible range of FTE-based medicinal chemistry-driven drug discovery projects for its Global customers. We add value through providing dedicated chemistry expertise, intellectual input and drug discovery know-how into our collaborations. Our scientists have breadth and depth of expertise in most areas of chemistry and have joined us from a range of multi-national Global pharmaceutical companies.